Larry is President and a member of the Board of Directors of Cincinnati Dental Services. He joined C.D.S. in 1974 following his graduation from the Ohio State University College of Dentistry, and he has practiced at C.D.S. his entire career. Dr. Faust currently serves as the Managing Doctor of our Fairfield and White Oak offices. He is licensed in Ohio and Kentucky. 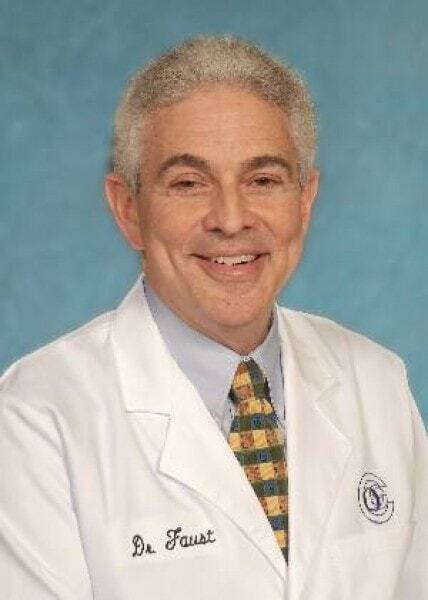 A Cincinnati native, Dr. Faust is a graduate of Walnut Hills High School and the University of Cincinnati (B.S. Biology, 1970). Dr. Faust has been instrumental in the growth of C.D.S. from one office in the early 1990's to our current nine locations. In the late 70's, he developed and implemented training programs for some of the first Expanded Function Dental Auxiliaries in Ohio. He is a member of the American Academy of Dental Group Practice and a founding member of the O.K.I. Dental Study Club. Dr. Faust's areas of special interest and expertise include group practice management and removable prosthodontics. His hobbies include sports and traveling. He is married with one son.